This recipe for grilled steak with chili-lime butter is one that I have been making in for my family for several years. 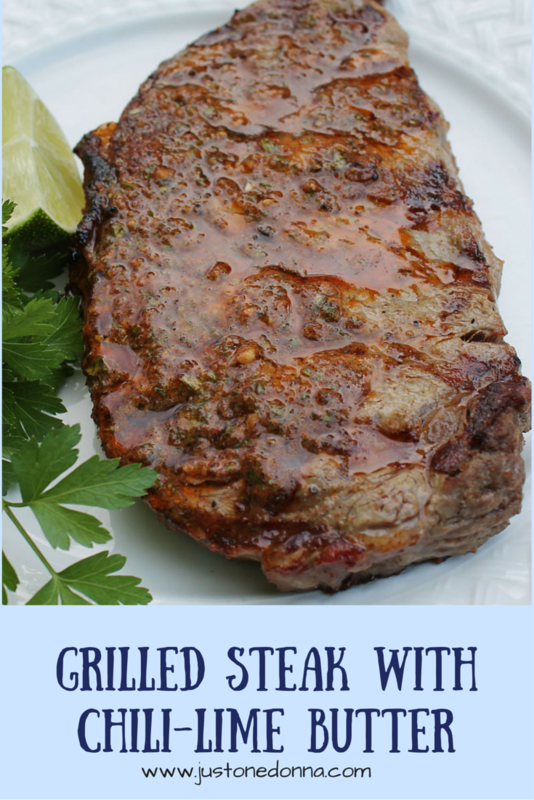 It is a recipe I learned in a class for Southwest cooking and it has been one of my family's summer grilling favorites ever since. Steak on the grill is perfect for your backyard BBQ. Add the cumin spice rub and the chili-lime butter and your friends and family will think they are at a fancy steakhouse. There are two steps in creating the layered flavors for this dish. First, you will rub the steaks with a spice mix consisting of cumin, garlic powder, salt and black pepper. 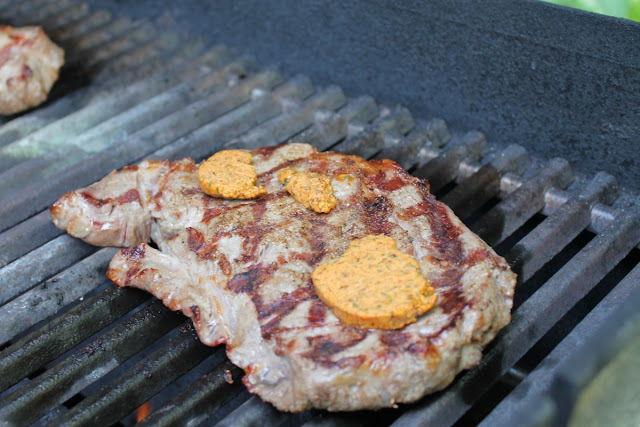 Then, chili-lime butter is melted over the steak just before you remove your steaks from the grill. 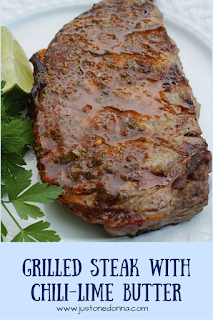 My preferred steaks to use in this recipe are either rib eyes or sirloin strip steaks. Choose whichever you prefer. We always cook our steaks outside on the gas grill. The grilling is easy and cleanup is a breeze. First, prepare the Southwest-flavored compound butter that has become a required ingredient in my refrigerator. It is also, an essential ingredient for this dish. You'll want to make your chili-lime butter ahead of time so has had plenty of time to firm up before you grill your steaks. Make it in the morning or several days ahead. You can keep the butter in your freezer as well. Early in the day, mix the butter, juice of one lime, cilantro, chili powder, garlic and black pepper together in a small bowl until well combined. Place the butter mixture on a piece of wax paper. 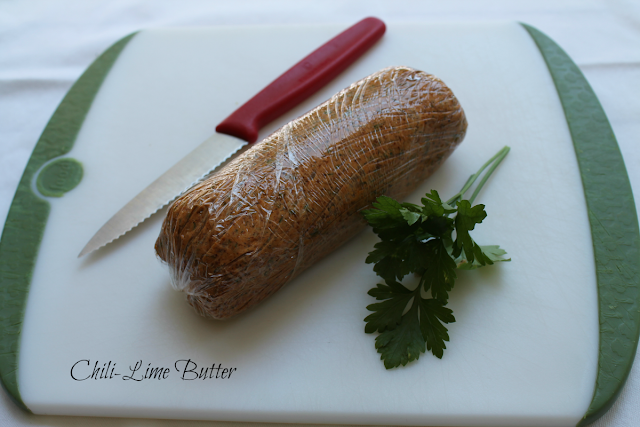 Roll the butter mixture into a log shape, twist the ends and refrigerate until chilled and the butter is solid. You can keep this butter in the refrigerator for a week or free it for a longer period. Now for the cumin-rubbed steaks. I serve approximately 1/2 pound portions per person in my family, but you should adapt this recipe to meet the proportions right for you. Remove the steaks from the refrigerator approximately one hour before cooking. Prepare the rub by combining the cumin, salt, pepper and garlic powder. Set aside. Approximately 30 minutes before grilling, drizzle olive oil over both sides of the steaks. Sprinkle the seasoning mixture over both sides of the steaks making sure to cover well. Set aside. Grill the steaks to your desired doneness. We like medium-rare which takes about four minutes per side on a one-inch thick steak. Use an instant-read thermometer to take the guesswork out of the grilling. 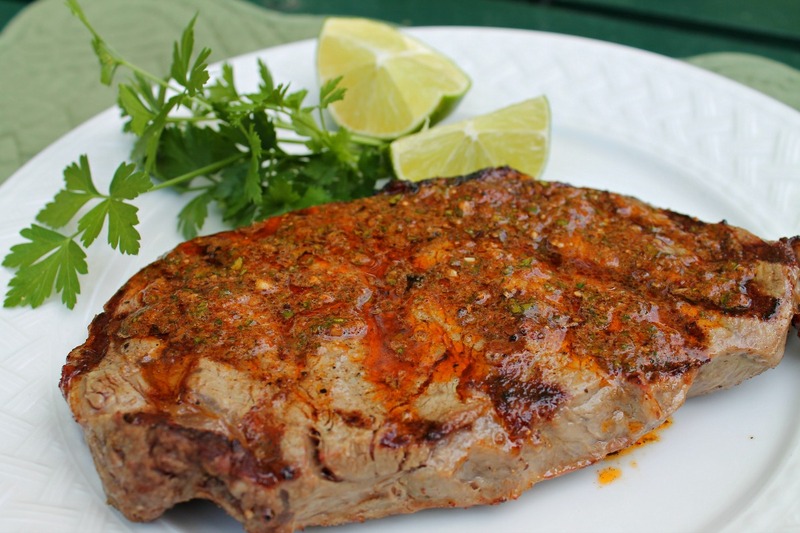 Place a couple of slices of the Chili-Lime Butter on each steak immediately when removing from the grill. You'll want the butter to melt over the steaks as you let them rest for 5-10 minutes before serving. The chili-lime butter is perfect on grilled corn-on-the-cob. Grilled corn would be a great side dish for this steak. A tossed salad is perfect as well. Donna, this steak and chilli lime butter sounds so very delicious, Your tutorial is helpful, I can almost smell it cooking.